Haircare is an essential part of any grooming routine. The daily ritual of washing, conditioning and styling can be a pleasurable and effective one when the right products for your hairtype and style requirements are used. Considering that scalp hair grows 0.33 cm per week on average and releases organic oil to lubricate hair follicles, which traps dirt, dust, and grime, it is important that this hair is kept healthy to preserve the condition the hair and scalp and maintain a good environment to preserve the hair and maintain growth. Shampoos are a technologically advanced means of washing away and dirt and grime that has become trapped in the oil produced by the scalp. Shampoos act by loosening the dirt and attracting it to them and by washing away the shampoo the dirt, oil and grime is also removed. This process has become refined over time and there are a plethora of shampoos available that treat the scalp and hair and help prevent and resolve any issues that you may have. However, for some cultures washing the hair is not simply and issue of hygiene and in Korea the festival of Yudu is a festival that involves washing hair to wash away bad luck. Hair conditioners are hair care products used to improve the texture and appearance of human hair. They can help to restore the look of the hair and help to repair the hair to maintain a better appearance. There are many types of conditioners, wash out conditioners, hair masks, and leave in conditioners. Each of these types of conditioners perform different tasks and often have different levels of moisture, with the hair masks being the most moisture rich with a high content of surfactants able to bind to the hair structure and "glue" the hair surface scales together. 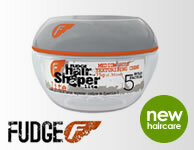 Hair Styling Products are essential to maintain that just got it cut look. Since the release of the first hair gel, there has been an explosion of products on to the market. These products can transform the texture and manageability of the hair, allowing you to push, pull and twist your hair any way you want it. Furthermore, hair styling products today come in a variety of hold factors and textures, to help your hair keep it's look all day or to make it look naturally styled. Hair Loss and Thinning Hair are common problems with 66% of adult males at some point in their lives experiencing this condition. Hair Thinning Products aim to help protect and fortify the hair follicles, preventing thinning of the hair and helping to incite further hair growth. This range of hair loss treatments are not a cure but can help in the battle against this common problem by providing the correct environment to grow strong and healthy hair. Hair colour is the result of pigmentation due to the presence of the chemicals of melanin. In general, the more melanin, the darker the hair colour. As we age we lose pigmentation and our bodies stop making as much melanin, resulting in the greying of hair. There are no special diets, nutritional supplements, vitamins, or proteins that have been proven to slow, stop, or in any way affect the greying process but the related problems surrounding grey hair, such as its rough texture and hard to manipulate manner, can be controlled with the use of products specially formulated for this hairtype. Dandruff is a common problem that affects many people and can cause irritation and discomfort. Dandruff is the excessive flaking of dead skin that forms on the scalp. A small amount of flaking is normal but some people, however, either chronically or as a result of certain triggers, experience an unusually large amount of flaking, which can also be accompanied by redness and irritation. Most cases of dandruff can be treated with specialized shampoos that condition the scalp and help reduce the scalps urge to flake excessively. Maintaining a healthy scalp is essential to maintaining a healthy head of hair and this is more important for men due to hair loss and thinning. Scalp Treatments aim to rejuvenate and rebalance the scalp and provide the optimal condition for restructuring and helping healthy hair to grow. They can help make sure that the hair is free from dandruff and other unsightly and sore conditions and help the hair to grow in a controlled and conditioned fashion. The art of removing hair has become less of a chore and more of pleasure with these hair removing tools. Restructure and rejuvenate your look with these easy to use hair removing tools.